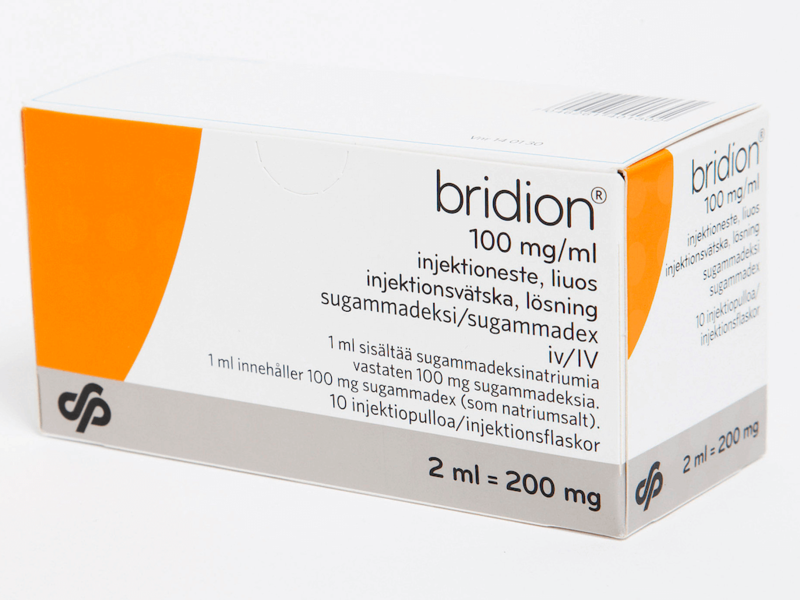 Sugammadex (Bridion®) is a remarkable drug. It also has a cool name. The anaesthesia community has moved very quickly to embrace the potential of this first and only 'selective relaxant binding agent' (SRBA), despite it's considerable cost. Novel pharmacology and a cool name are however insufficient reasons alone to alter our practice. There is a certain lack of clarity in the community and literature as to where sugammadex fits into anaesthesia practice and to what extent it should alter how we currently manage muscle relaxation and reversal. There has also been very limited discussion of the unintended consequences of a shift to rocuronium-sugammadex based techniques over other neuromuscular drugs. 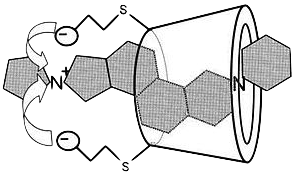 Sugammadex is a modified Ɣ-cyclodextrin and the first 'selective relaxant binding agent' (SRBA). The addition of eight carboxyl-thio-ether groups at the C6 positions extends the size of the lipophilic cavity, enabling encapsulation of the NMBD rocuronium bromide. The high binding affinity for the aminosteroid rocuronium effectively prevents biological interaction of rocuronium. As rocuronium in plasma binds within sugammadex, rocuronium molecules in the neuromuscular junction move down their concentration gradient into the circulation where they too are selectively bound to sugammadex in a 1:1 ratio. Rocuronium is strongly bound to sugammadex by electrostatic forces between the positively charged rocuronium quaternary ammonium ion and the negatively charged sugammadex side-chains. The rate of molecular binding to dissociation is approximately 25 million to 1 for rocuronium and 10 million to 1 for vecuronium. Pre-planned early reversal of rocuronium when suxamethonium is contraindicated. The most obvious example is electroconvulsive therapy in patients with a pseudocholinesterase deficiency or neuromuscular denervation conditions. Pre-planned reversal of rocuronium by sugammadex rather than neostigmine in situations where even very mild residual neuromuscular block carries significant risk to the patient. Examples fall into two groups: patients with neuromuscular disorders such as myotonic dystrophy or myasthenia gravis; and patients with severe pulmonary disease with limited reserve. The editors extended this to also include "...patients in whom reversal with anticholinesterases may be only partially effective (e.g. patients with poor renal function, hypothermia, acidosis)...". Unplanned early reversal of rocuronium in patients with an unexpectedly difficult intubation where rapid reversal may allow awakening of the patient. Given the professional fear we have of the 'Can't Intubate Can't Ventilate' scenario it is unsurprising that it is this indication, likely the most rare of the three, that has captured anaesthesia community's greatest interest. Cochrane 2009 / Abrishami A, et al. 2 mg/kg reversal at TOF 2 appearance. 4 mg/kg reversal at PTC 1-2. 16 mg/kg reversal 3-5 min post-induction. Should sugammadex then replace neostigmine for all aminosteroid reversal? There is however a degree of breathless excitement among anaesthetists proposing undemonstrated benefits of sugammadex that may lead to ill-considered changes in our practice. Surprisingly, while approved for use in Europe, UK and Australia, sugammadex's application for approval was rejected by the FDA in 2008. At the time sugammadex was owned by Schering-Plough (now owned by Merck) having bought the original intellectual property owner Organon BioSciences for $14 billion in 2007 - thought to be driven by the opportunity to control sugammadex. The primary reason for the FDA rejection is concern over hypersensitivity reactions. Dr Ronald Miller presented on the company's behalf at the FDA meeting, "It was extremely surprising and disappointing, and bordering on unbelievable ... It‘s really a very regrettable situation ... Time may prove the FDA to be correct, but I don't think so." No doubt the FDA's experience with Rapacuronium, a past drug from Organon, gives them good reason for conservatism. Check the status of FDA sugammadex approval here: drugs.com/history/sugammadex. It is one thing to identify the clear advantages of sugammadex over anti-cholinesterase inhibitors - but it is quite another to rush to change our practice before a clear outcome benefit has been shown. A study from White et al.10 highlighted the wide variability in time to return to a TOF ratio of 0.9 among patients after reversal with sugammadex. While 80% of patients reached TOFR 0.9 ≤ 5 min the wide variability included one patient for whom reversal took 22 minutes. Clearly it is not yet time to throw out our neuromuscular monitors. The current open-market price for sugammadex is an order of magnitude greater than for anti-cholinesterase inhibitor / anti-cholinergic combinations. Until the cost of sugammadex falls it is difficult to justify its use as a standard reversal agent. Several reports have attempted to identify the effects of giving anaesthetists unrestricted access to sugammadex as a reversal agent. These have been conducted in the setting of hospitals fortunate enough to negotiate (confidential) reduced pricing for the drug. Ledowski et al. [ledowski] demonstrated an increase of about AUS$85 per case (using the list price of sugammadex) for muscle relaxation and reversal costs. While this appears a small amount, as a colleague pointed-out, multiply by tens-of-thousands of cases and this quickly becomes a significant new drain on a hospital budget. An economic study of the cost effectiveness of sugammadex11 suggested that it may be cost effective if there are significant time savings in the operating theatre but not if the savings are instead in the PACU. However even then it is unlikely that time savings achieved through faster reversal will translate directly into theatre savings given that there are many factors determining case turn-over. Audit data suggesting modest shortening of hospital stay when sugammadex is used is intriguing, though far from definitive or consistent between studies.15 It is conceivable that a reduction in post-operative pulmonary complications due to a decrease in residual blockade incidence could have this benefit. Hospitals that provided unrestricted access to sugammadex saw a dramatic increase in the consumption of rocuronium if they were not already a predominate rocuronium consumer. The consequences of this shift to rocuronium have not been properly discussed. In parts of Europe, notably France and Norway, rocuronium is a disproportionate cause of anaphylaxis. However in the US the incidence of anaphylaxis to rocuronium is quite low. The reason for this incongruity are best discussed elsewhere (see: Pholcodine: significance for anesthesia?) but may lead to an increase in perioperative anaphylaxis in regions where rocuronium sensitivity is more common. The situation in Australia is less clear; some unpublished reports claim that the incidence of rocuronium anaphylaxis is similar to that of suxamethonium, while older published-reports suggest that it instead merely tracks market share. Sugammadex offers a unique and supremely effective reversal of aminosteroid muscle relaxation. It is a revolutionary and potentially life saving drug, but likely only for very specific anaesthetic scenarios. Only time will tell if its usefulness lives up to the hype for the majority of relaxant cases. Next week, in part two I will discuss the merits of replacing suxamethonium with rocuronium/sugammadex for rapid sequence induction; and in part three explore evidence for and against using sugammadex to manage rocuronium anaphylaxis.